Serendipity Refined Blog: Liebster and Versatile Blogger Awards - Getting Caught Up! 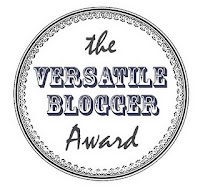 Liebster and Versatile Blogger Awards - Getting Caught Up! Ever see this image on some one's blog and wonder what it was for? Yep, me too. And then it happened. I was nominated for a Liebster award not once but twice! So, I was all set to send out the email for the kind nomination that I received from Angie over at Slipcovered Grey when my life got away from me. I read the rules, I drooled over her cinnamon rolls and then the end of the quarter hit at work and I never got back to it. I'm sorry, Angie, I didn't forget! Then, this week I was nominated for a Liebster award by Melody over at My Passion for Decor. This incredibly talented blogger was also chosen for a Miss Mustard Seed Feature so believe me when I tell you that it's not only an honor to have her choose me as one of the people that she chose to feature but, the girl's got amazing talent! I thought to myself, woman, you've gotta do this! So, here I am, on the 4th of July, with company coming in a couple of hours, finally sitting down to respond to these very kind ladies with my sincere and profound thanks and humble apologies for taking so long! Forgive me? For those of you who aren't familiar with the Liebster award, it is an award that a nominated blogger passes along to 5 other bloggers all who have less than 200 followers. Hey, that's me. I'm still really new to this and I'm thankful that anyone at all finds inspiration here! It's an award to let these bloggers know that they are noticed and someone thinks that they've got talent or are inspirational! I found it difficult to choose only five. The blog-sphere is such a huge place and there are so many crazy-talented people out there that there's no way that I could possibly highlight them all. Here are my five, in no particular order, please stop on by and introduce yourself to these amazing bloggers! Lillyanlou Karmen and I became friends last year when we were both vendors at the same barn sale. She makes some of the most beautiful hair bands, bows, necklaces, and wedding accessories that I've ever seen! She's sweet, genuine and so talented that I had to introduce you to her! She's got an etsy shop, too! breida with a b Breida is a relatively new blogger who is already making a name for herself as a talented lady who travels cross country to attend flea markets and conferences at a moment's notice and who somehow manages to turn out incredible projects as well. 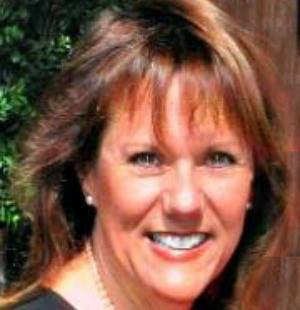 She's a talented writer who has also become a dear friend as we're both finding our way around the blog sphere. Spoonful of Pearls Kadee and I started blogging right around the same time. I found her accidentally, but she actually lives somewhere near me (or at least we attend the same farmer's market on Mondays). I love her honesty and her photography skills...and the potential to run into her some day...maybe?! Ocean Breezes Amazing, Amazing, Amazing Images. I'm speechless! Go to this blog, sit back and ENJOY THE VIEW! Wow....just wow. Dreams and Decor I can tell from her blog that Patti's got a heart as big as Texas and talent to match. Her blog feels like "home" to me. Gardening, decorating, vintage. Stop by and take a look around! So, there you have it. A few new blogs to check out, some new friends to make, some new talent to discover and the chance to make a new blogger happy. Visit, comment, follow along, won't you?! P.S. Now all I need to do is get ready for company and find the person who sent me THIS.